Important note: If you haven’t activated “Find My iPhone / iPad / Mac” when you set up your device, this method won’t work. 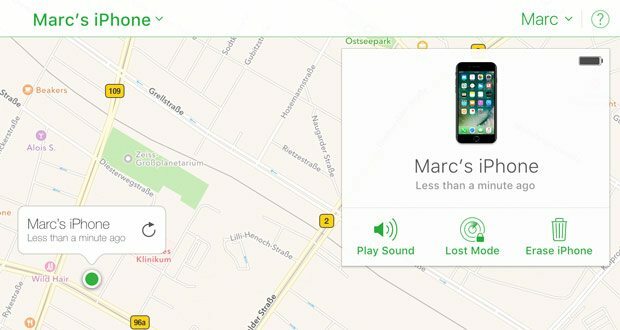 Although you can download the official “Find My iPhone” app on the App Store, you don’t actually need it to track your Apple device. This means the app doesn’t have to be installed on your missing iPhone, iPad or Mac. The good thing here is that Find My iPhone is actually a cloud-based service by Apple. The app is only another way of accessing this service to locate your iPhone or other Apple devices. If you own an iPad or a second iPhone, you can also install the app and try to locate your missing device. Otherwise, all you need is a browser and your Apple ID login details. Also, don’t be too worried that someone could disconnect your device from iCloud, turn off Find My iPhone or erase your device. If you’re on iOS7 or a later version, a feature called Activation Lock will prevent anyone from doing any of the mentioned things without your Apple ID password. Head over to icloud.com and log in using your Apple ID credentials. 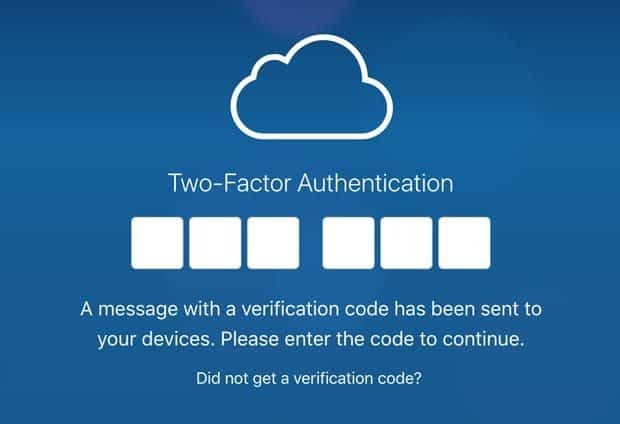 In case you land on iCloud’s two-step authentication screen, which prompts you to insert a code which was sent to your apple devices, you don’t have to necessarily enter that code. What you can do instead is to click on the the Find My iPhone quick access link on the bottom. This should direct you right into Find My iPhone’s map interface. If you weren’t shown the two-step authentication, then you should see your iCloud dashboard after signing in. Click on the Find My iPhone icon, which the first one in the second row. Now you should see the Find My iPhone interface, including a map. Click on the “All Devices” drop-down menu on the top bar and select your missing device. The tracking of your device will now start. If successful, you should be able to see its location on the map. Now you have the option to trigger an acoustic signal, activate ‘Lost Mode’ or erase all data. Depending on several factors, this can take a while. Also, use the erase option as a last resort, since Find My iPhone won’t work anymore on your device afterwards. Activating Lost Mode will lock your device with a password and display a message of your choice together with a phone number, so that a nice soul hopefully contacts you to give your iPhone, iPad or Mac back into your hands. The Lost Mode has the nifty ability to enable location services on your iPhone or iPad, in case it’s deactivated. So no need to freak out if you realised that you turned it off. It will stay enabled as long as your device is in Lost Mode. This is basically all you have to do to track your lost Apple device. Please keep in mind that your lost device needs to be turned on and somehow connected to the internet. If mobile data is turned off and it’s not connected to WiFi, you won’t be able to track it using Find My iPhone. Your only hope is to wait and hope that the thief or someone, who found it, connects to the web. Thankfully, you don’t need to stay inside of iCloud and hit refresh all the time. If your device is offline, you can let Apple notify you once it’s back online. This method is kind of a last resort method and requires several things to actually help you find your device. First, you need to have the Google Photos app installed with automatic photo upload and location sharing enabled. This means that every photo which is taken with your device is uploaded to your Google Photos account. By default, this only happens if your device is connected to WiFi. Second, someone has to take pictures with your lost iphone. In case your device is actually stolen, then this scenario is not that unlikely to happen. You can check for newly uploaded pictures by going to photos.google.com and logging in using your normal Google credentials. If you find such pictures, click on them and check on the right sidebar if a location was attached to them. Please be careful in case you were able to find the location of your iPhone this way. Face the facts, someone stole your phone and is using it without being too concerned about being found. You know nothing about this person, so please don’t go after that person. Contact local authorities, tell them what you know and let them do their job. Since I published this article, many people post comments with similar questions. Below you can find answers to the most asked questions. I hope this helps some of you! Let me ask you the following: can you access your mobile browser and google something if your phone is off, in airplane mode or has no data connection? Correct…no you can’t. Same thing applies to tracking your phone. As long as it doesn’t have a working connection to the internet, it won’t be able to send any location data. With Find My iPhone you can let the tool check regularly for your iPhone’s location. As soon as it goes back online (someone charges and turns it on, for example), Find My iPhone will notify you. This enables you to locate it (literally) as soon as possible. You can also check your Google Maps Timeline (see above) for your phone’s last reported location to Google. Luckily, even if a stranger turns off location services on your iPhone, it’s still possible to locate your iPhone. 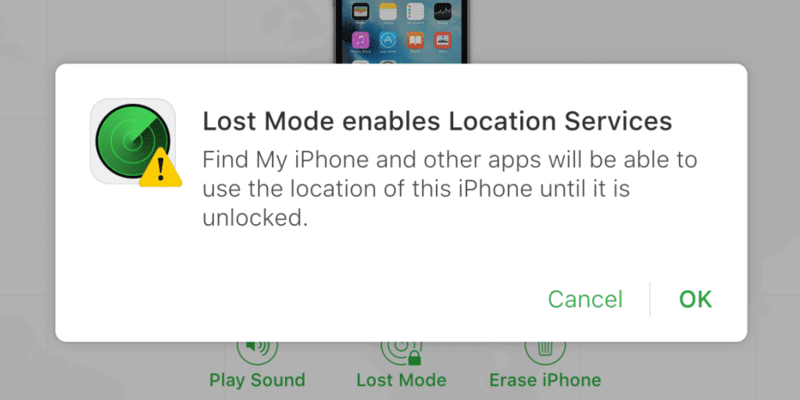 With Find My iPhone you can activate the so-called ‘Lost Mode’. This activates location services on your iPhone remotely and immediately tries to locate it. It will stay activated as long as no one unlocks your device. Bad news. Once an iPhone has been erased, it’s not possible to locate it anymore. The whole sense behind erasing a phone is to delete everything, including personal data, images, user settings and all logins (including iCloud). Without a connected iCloud or Google account, tracking isn’t possible. I recommend that you try to use your Google Maps Timeline (covered above) to get the last recorded location of your phone. In your browser visit appleid.apple.com. You’re offered two ways to reset your password. 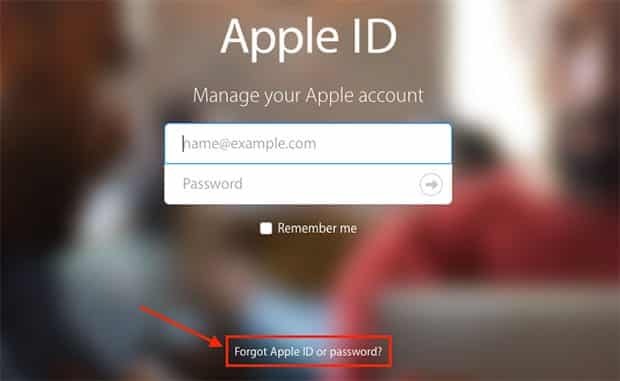 Either by sending a reset link to your backup email address or by answering the security questions you set up while creating your Apple ID account. If you chose “Get an email”, check your backup account for Apple’s email on how to reset your Apple ID password. In case you don’t receive an email within one hour, please check your other email accounts. Maybe you checked the wrong one and not the actual backup account you chose back when you first created your Apple ID. In the email, click the password reset link and follow the upcoming instructions. You’ll have to answer some security questions you set up before and enter your birth date. After that, you can enter a new password and confirm the password reset. That’s it! Keep in mind that you have to log into your Apple account on all your Apple devices since the old password doesn’t work anymore. What if I’m not close to any computer to track my iPhone? In that case, ask friends or try to find a helpful stranger with an iPhone. 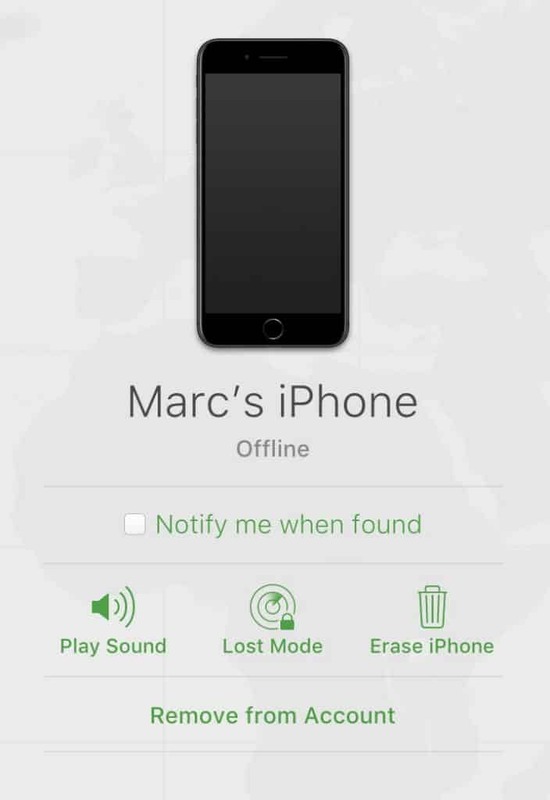 You can track your lost iPhone using the “Find My iPhone” app on another device. Just make sure that you are signed into your own iCloud Account. Otherwise you’ll just track the iPhone you’re holding in your hand. I really hope this article helps you find your lost iPhone, iPad or Mac. If you do, it would be great if you share your story in the comments! Also, if you know of any other way to track down a lost Apple device, please let us know. Note: In case you’re actually missing an Android device, head over to my guide on how to track a lost Android phone or tablet.